With a consolidated rating of 10.5 million viewers for its series premiere episode, making it the most watched programme of the week, the latest incarnation of Doctor Who has been a huge success. It’s the biggest revamp of the series since its return to our screens in 2005, with new head writer Chris Chibnall taking the reins from Steven Moffat, and the programme showcasing its first ever female lead. Jodie Whittaker’s Doctor is the most obvious sign of change on the series, but there’s been plenty happening on the other side of the camera. There have been plenty of changes happening on the other side of the camera as well. Incoming executive producers Chibnall and Matt Strevens have emphasised that they want to honour the heritage of the 55-year-old series, but make it seem like a brand new show as well, one that stands up to scrutiny against the high-budget series coming from Amazon, Netflix or Hulu. It hasn’t changed so drastically that it doesn’t feel like Doctor Who – Whittaker’s Doctor is still travelling in time and space in an old police box with companions at her side, in the same way that William Hartnell did back in 1963 – but it does look very different, even from Peter Capaldi’s most recent run. Anamorphic lenses and a new aspect ratio mean that Series 11 (or 37, if you’re counting the old days) doesn’t resemble its predecessors, with both nocturnal Sheffield and South Africa’s desert dunes shown to best perspective. Equally, Academy Award-winning special effects house Double Negative Effects Group has taken over responsibility for its otherworldly look. Its sound is also distinctively different: composer Segun Akinola (a BAFTA Breakthrough Brit in 2017) has reworked Delia Derbyshire’s interpretation of Ron Grainer’s iconic theme. He has switched orchestral music to a more rhythmic based incidental score for the episodes too, moving away from the symphonic approach of much of Murray Gold’s work. 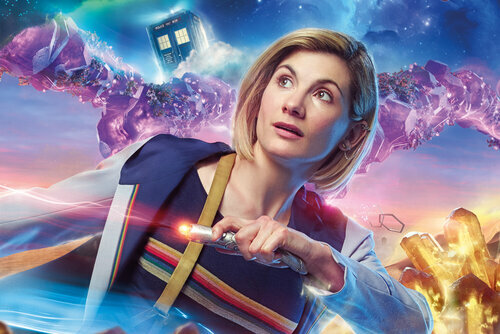 Doctor Who “needs to reflect the world as it is in 2018”, Chris Chibnall explained to website IO9, and if the programme’s going to appeal to a wide audience, rather than cater simply to its fans (as it was certainly perceived to have done in recent seasons), then those making the show need to come from all walks of life. This is represented front of camera with not only a female Doctor but also a diverse selection of companions (or “friends”, as this new Doctor likes to call them), from Mandip Gil’s trainee police officer Yaz to Bradley Walsh’s retired bus driver Graham and his step-grandson, Tosin Cole’s warehouse worker Ryan – who also suffers from dyspraxia. Most of those involved with the show are new and there’s more female and BAME representation than ever before. 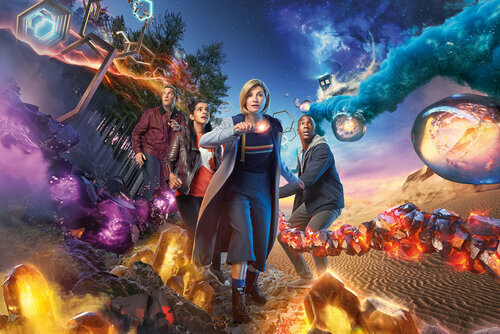 Behind the camera, Chibnall has introduced a writers’ room to the show, not in the full American sense, but, he told TV Drama, as a hybrid of the two methods of working, to bring a collegiate and collaborative feel to the programme. Most of those involved with the show are new to it – notable exceptions are series producer Nikki Wilson and casting director Andy Pryor – and there’s more female and BAME representation among the directors and writers (including 2016 Breakthrough Brit Vinay Patel, as well as the rest of the crew, than ever before in the show’s history. But at its core, Doctor Who remains the same brilliant idea devised by Sydney Newman 55 years ago. As Chibnall happily admitted, it’s the greatest and most versatile format in the world because you can go anywhere and you can do anything. Paul Simpson is managing editor of Sci-Fi Bulletin and co-author of Who Beyond 50: Celebrating Five Decades of Doctor Who.